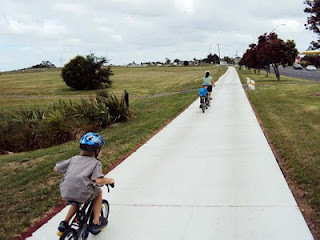 Had a short cycle up and along the Te Atatu Peninsula cycleway, with my niece and her sons this afternoon. 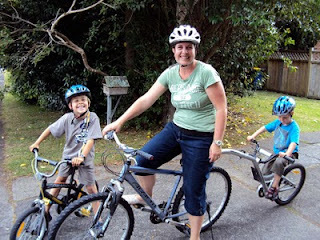 Love the monocycle attached to the back of her bike, that allows her youngest son to have an active and involved cycling experience too. 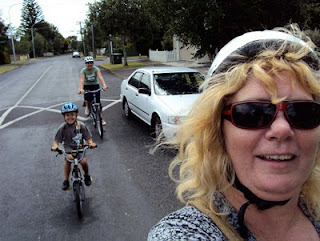 Heading up Yeovil Rd to the busy main street. 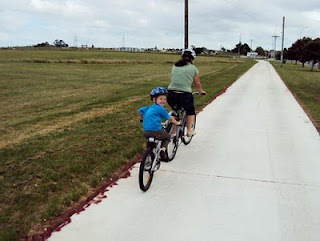 We crossed at the pedestrian crossing and went along the cycleway on the road initially. 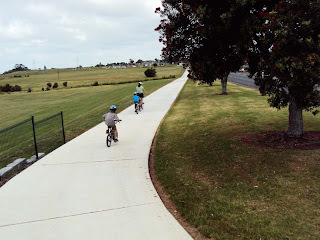 Then it was a wonderful free for all, along the new pathway. 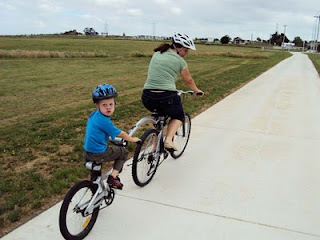 Cohen loves peddling behind his Mum, and keeping up a steady commentary on the way.